Dental implant technology was introduced four decades ago which has changed the dental industry. Though much of the concept remains the same, advancements have been made to bioengineering concepts and the way in which dentists can assess and prepare the implant site. Such technological advances include imaging enhancements, improvements in implant design and surgical innovations. Technological advancements in implant dentistry now make it possible to place the artificial tooth roots with no incision and minimal discomfort for the patients. The latest dental implant coatings and nanostructure titanium is even stronger and heals quickly than implants using conventional coatings. Let us take a look into different types of the implant and alternative dental implants techniques that can be achieved through modern implant dentistry. Dental implants come in different types, sizes, and heights. The dental implant cost in Melbourne depends on the type of implants you receive. Your dentist can help you determine which option is best for you depending on your particular needs. These types of dental implant are surgically placed in the jawbone. It is made of titanium and shaped like small screws. Endosteal type of implants is the most commonly used type of implant. The material used for making dental implants also influences the cost of dental implants in Melbourne. These types of dental implants are also placed under the gum but on, or above, the jawbone. It is mainly used for the patients who do not have enough jaw bone and cannot undergo a bone augmentation procedure to rebuild it. In case, if your jawbone is not able to support affordable dental implants in Melbourne, the following techniques can be used to rebuild and restore the natural jaw line and provide a sturdy foundation for implant-supported teeth. It involves restoring your bone in your jaw when it is not able to support the implant. Research shows that using bone additives and growth factors to fortify the bone generally achieves the best results. Also called sinus elevation involves adding bone below the sinus in cases where natural jawbone has been deteriorated. If your jawbone is not wide enough to support dental implants, bone graft material can be added to small ridge, or space, created along the top of your jaw. State-of-the-art, precise 3D imaging and implant surgical software have made dental implant procedures faster. These advancements save time, money and shorten the recovery time. 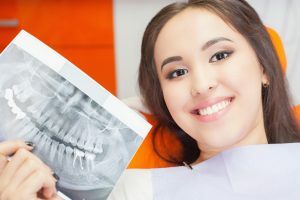 Depending on the health of your jawbone, your dentist may suggest the following alternative affordable dental implants Melbourne techniques. All-on-4: It is an effective alternative to placing top or bottom set of replacements teeth, called a full arch. Mini dental implants: The size of mini implants is smaller than traditional implants and is primarily used to stabilise a lower denture. Immediate load dental implants: Also called same day implants. This technique allows placement of temporary tooth during the same appointment as your dental implant placement. This entry was posted in Dental Implant and tagged cost of dental implants. Bookmark the permalink.